Full Force festival, the rebranded version of the iconic With Full Force, has revealed the first names for 2019 and it's dope. No no, we know that we tend to say that when announcements surprise us BUT this is really lit. The announcement includes Bleeding Through on their first European tour? show after reuniting, Amorphis, Terror, Ignite, Sick Of It All, Tesseract, Turnstile, Whitechapel, Cannibal Corpse, Jinjer, Orange Goblin and many more. See? told ya! We are anxious for the next announcement. 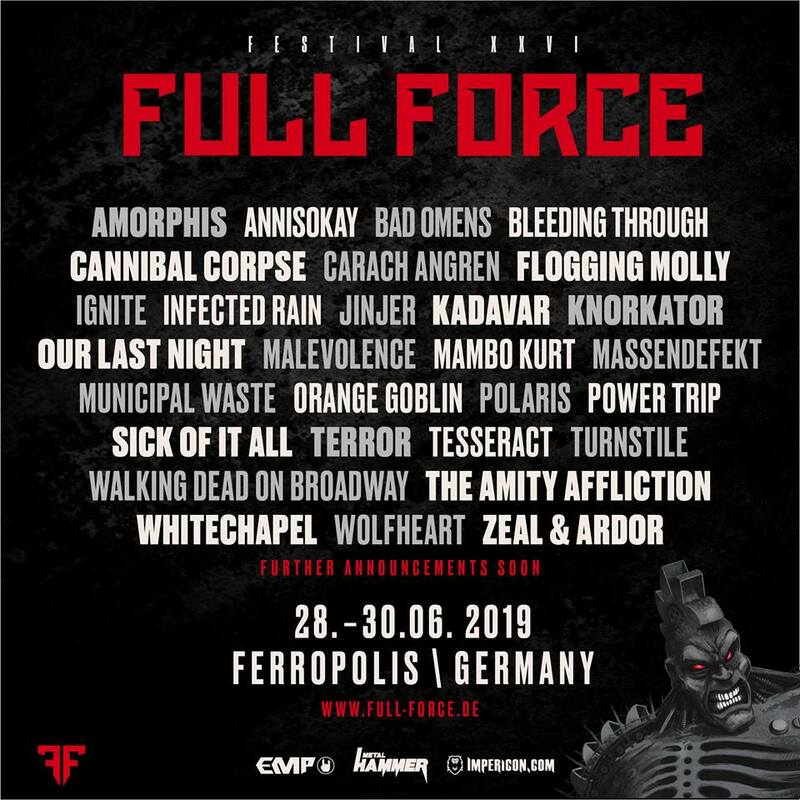 Full Force Festival takes place on June 28-30 in Ferropolis, Germany. For tickets and info, visit www.full-force.de.